Each spouse’s educational background, employability, and earning capacity. Judges in Florida try to issue spousal support awards that are justifiable and fair given each spouse’s financial circumstances at the time of the couple’s divorce. However, the problem is that spousal support awards are often in effect for many years and as time passes, the financial circumstances of the ex-spouses may change. This frequently causes spousal support awards that were once reasonable to no longer be tenable later on down the road after the parties’ financial circumstances have materially changed. Increased income via a raise or a new job. 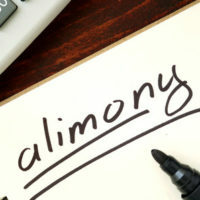 On the flip side, a request to modify a spousal support award in Florida will generally be denied if the change in circumstances resulted from the alimony payor remarrying, voluntarily quitting his/her job, or intentionally getting fired. If you are interested in petitioning the court to modify a Florida spousal support award experienced family law attorney David Hirschberg is here to help. Here at the Law Offices of David L. Hirschberg, P.A. we are committed to providing top-notch legal representation to each and every one of our clients. Whether you are filing for divorce, fighting for visitation rights, or seeking to modify the terms of a spousal support award we will tirelessly fight for your legal rights every step of the way. To find out more about what our firm can do for you, contact our Boca Raton office today at (561) 288-8620.